Lately I have not been consistent with my viewing when it comes to Kdramas.I took a break from sageuks,as soon as Shine or Go Crazy and Maids came to and end but I am back now so let us get back into all things Sageuk and maybe one not so sageuk mention along the way. Our hero became King,he did not get the girl what a mess! The resident villain of Shine or Go Crazy had a bad hair day,usually a sign of defeat in a sageuk. Maids had a relatively fair conclusion.I would have loved a more fairy tale ending but if most of your favourite characters are still standing at the end of a sageuk, you cannot complain much. A must watch for the Kdrama addict,you will love and hate the characters in this show with equal intensity. There are two sageuks that I intend to get down and watch with commitment once HTTG has concluded, these are Hwajung and Jingbirok. However I cannot say that I enjoy watching King Gwanghaegun being painted as a villain.He is one of my favourite Joseon era kings,I admire the way he stayed and fought for his people when he could have just fled the capital with his father. Jingbirok is less fast paced than Hwajung but I do enjoy the historical narrative,which I understand is historically accurate. I was loving maids till my main lead became the second lead!! And he became the villain. *sob* frankly not over Maids and didn’t go past ep. 16. Shine or Go Crazy: you summed it all perfectly. Hero became king. Didn’t get girl. What a mess. Sooo true and still, hilarious. I’ve been seeing so much about Heard it through the Grapevine. Your post has made me determined to check it out now. I’m a Sageuk enthusiast and was watching Hwajung but dropped it just as the main leads grew up. Maybe I’ll go back if I feel better about the drama. I enjoyed the post, thanks for sharing! 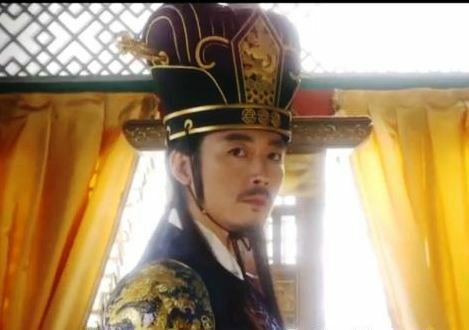 Ok I am a Jang Hyuk fan ever since I watched shine or go crazy, but with Merchant of Gaekju…what the heeeey!!?? The thing with Gaekju is you need lots of patience, and then a truckload of painkillers, because that girl Gae Dongaa! *^&&%$# I’ll just call her Ondong to make myself feel better. Anyway, I admit,it was too damn slow, and while I get the storyline and all, there was ABSOLUTELY NO CHEMISTRY between Chun Bong Sam and that wife of his!